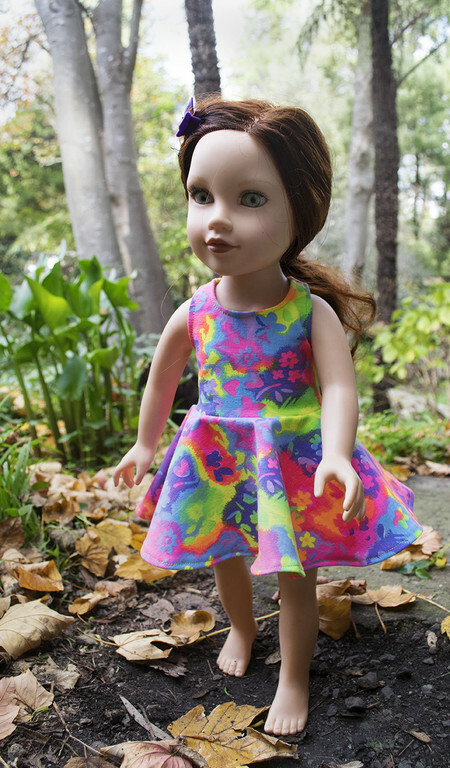 The colours are very bright, actually more vibrant than they show in the pictures. 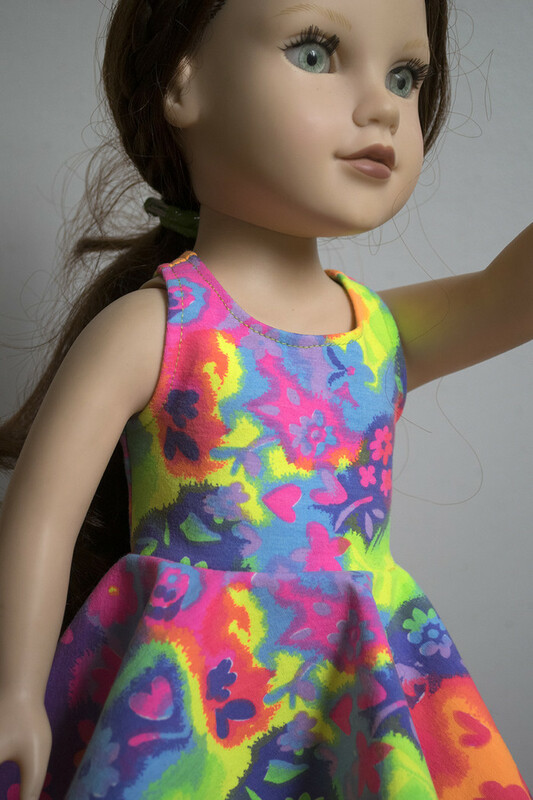 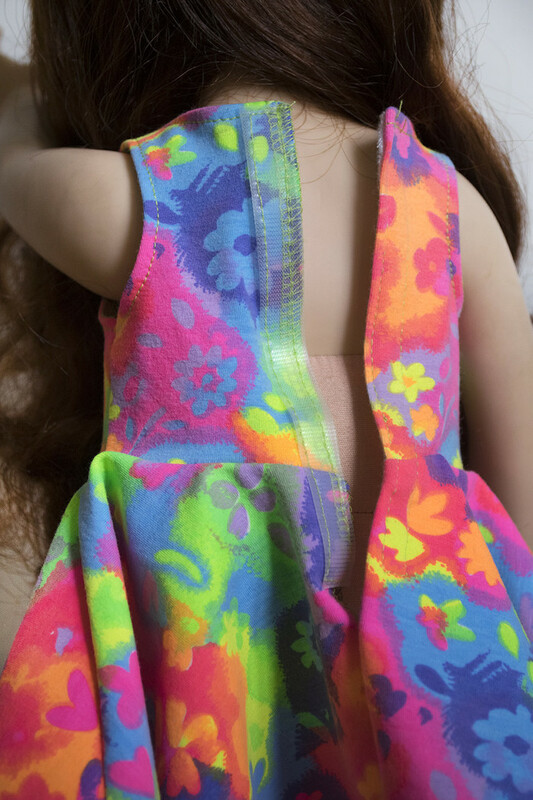 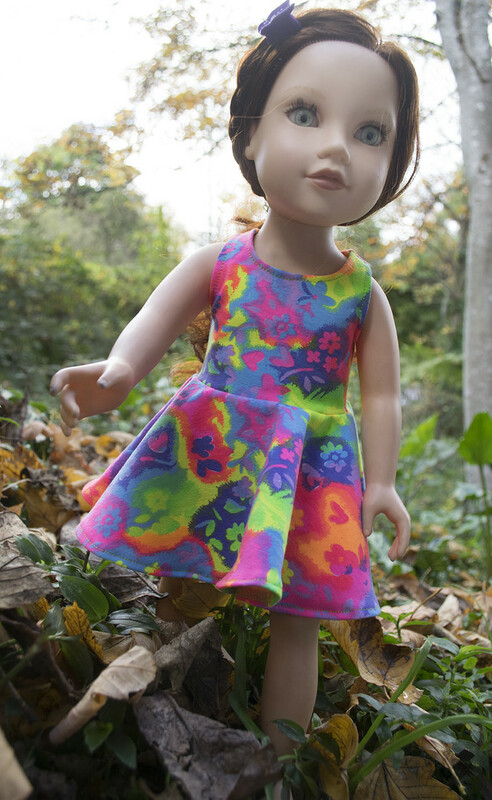 The back of the dress closes with fine hook and loop tape so it is easy to take the dress on and off your doll. 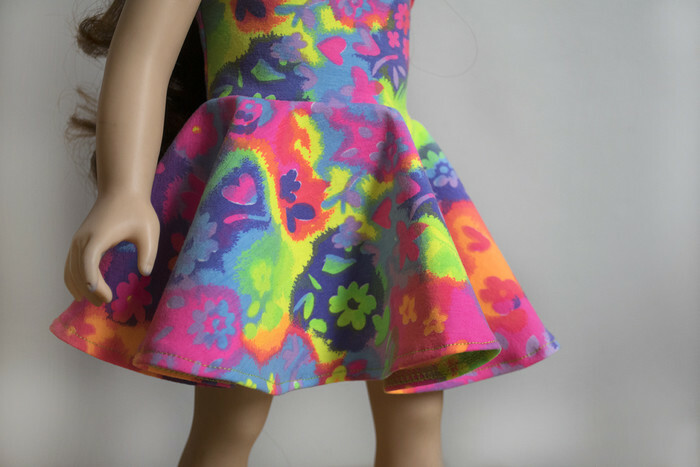 This dress is not lined but all seams are finished with the overlocker .